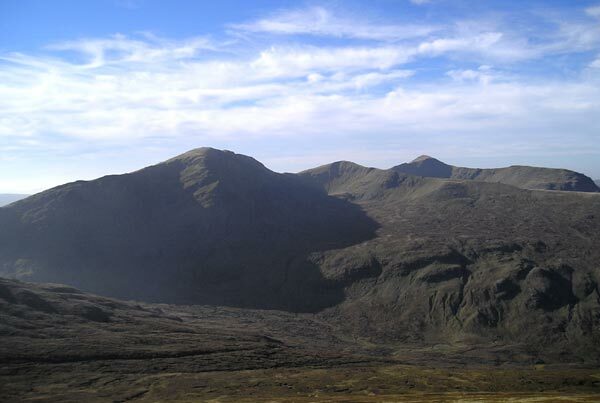 Sgurr Breac is one of the group known as the Fannaichs, which lie to the N of Loch Fannich. 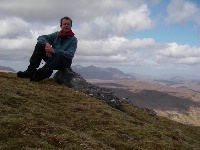 Sgurr Breac and A' Chailleach are the most westerly of the group and tend to be climbed together. 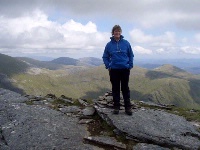 Sgurr Breac has crags N of the summit and to the NE there is a high corrie with rocky flanks but otherwise the slopes are moderate with some steep areas. 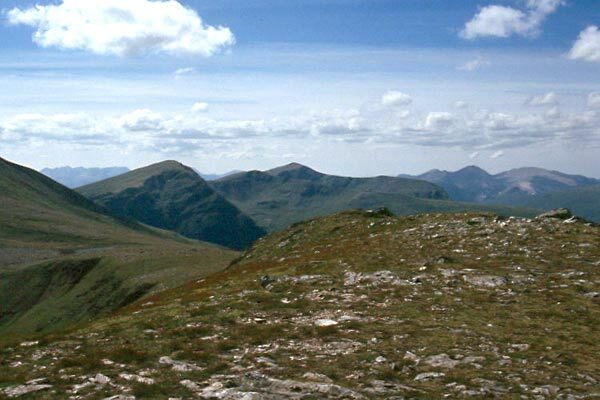 Usual ascent routes are by the path from Loch a' Bhraoin to the bealach E of the summit or by the long ridge, Druim Reidh, of Tomain Coinich which lies to the WNW of the summit. Sgurr Breac (left-front) & A' Chailleach (back-right) from Meall a' Chrasgaidh. 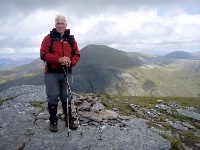 The summary information of one or more ascent routes that include Sgurr Breac. Good day to be on the top. 12/07/2011. 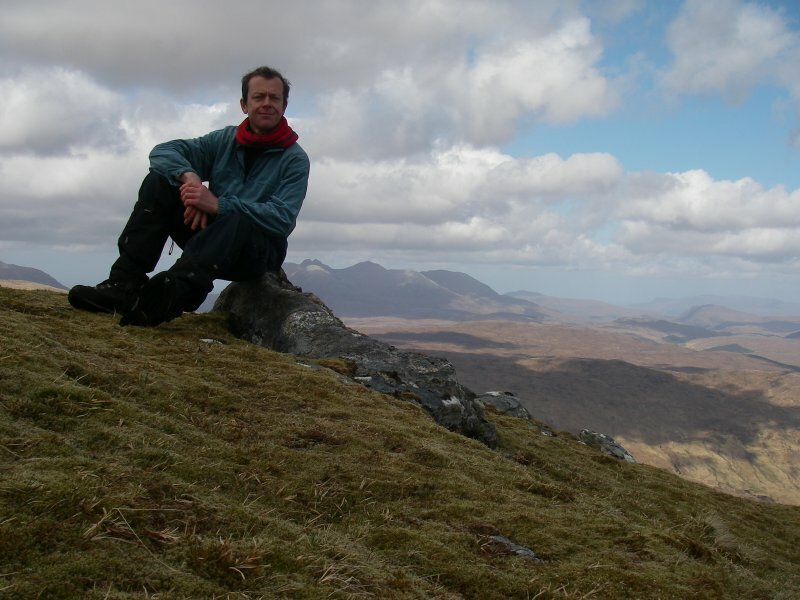 Post a few words about Sgurr Breac or read what others have had to say. 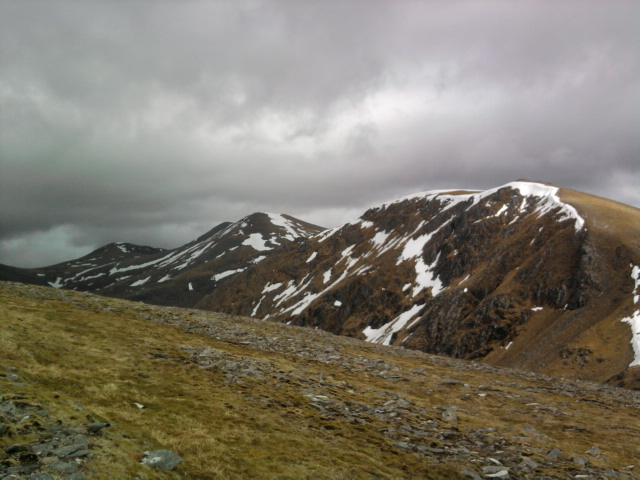 The ascent of this hill along with its neighbour A' Chailleach is very straightforward and shows you the character of the other Fannaichs from these western points. 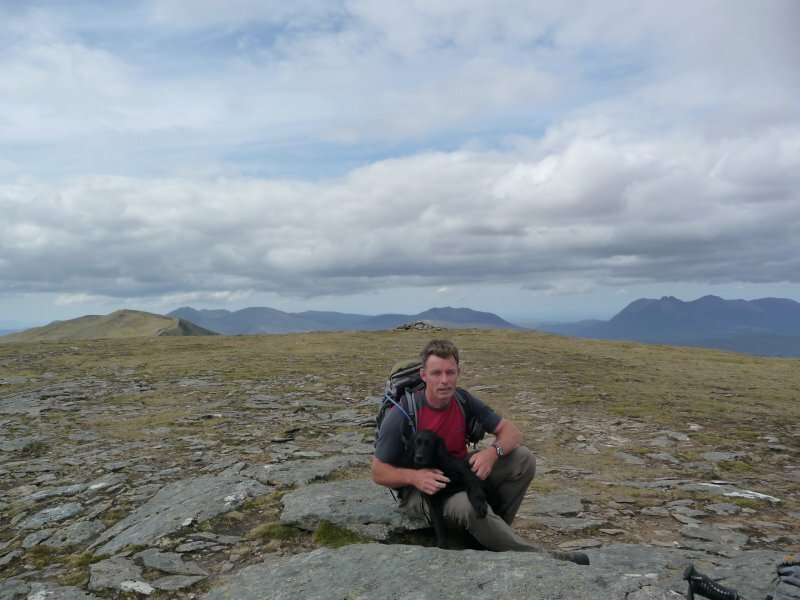 The hardest part of the ascent is the climb up Leitir Fhearna, however once the Druim Reidh is reached it becomes more gradual up to the top Toman Coinnich.